Immaculate, meticulously care for & beautiful dcor. 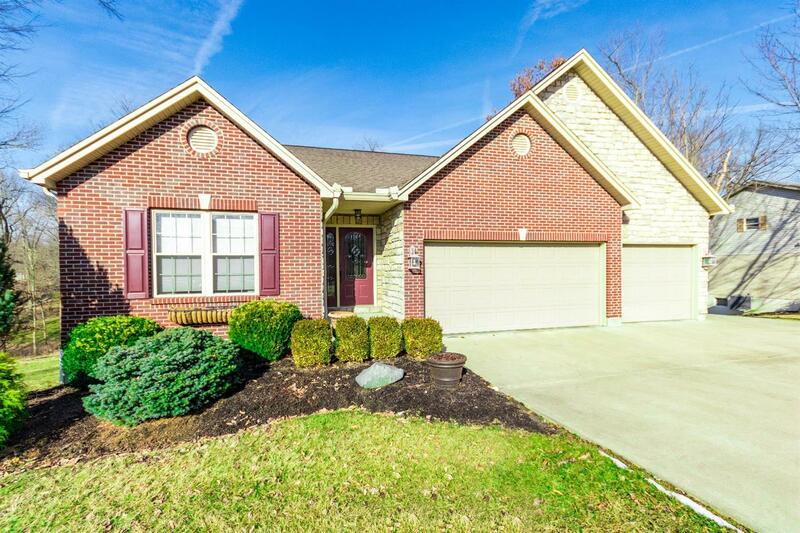 Features cathedral ceilings, new hdwd flrs, custom trim & gas FP. LL w/9'ceilings, walk-out, BD & Full Bath, Huge L shaped area for Rec Rm, Exc Rm, Etc., could easily be in-law suite, plus plenty of storage space. Lg covered deck overlooks wooded view & backs to green space. Gar accommodates boat. NOTE: This property was sold on 4/2/2018 and is no longer available. The details listed below are believed accurate to the date of the sale and are subject to change.